North Korea's deadliest weapon is sleeper agent Song Sun Young. Married with children and living the good life in New York City, she has waited seven years to activate the mission she was trained to do: infiltrate America's financial infrastructure. She prays the call from her handlers will never come, because she loves her husband and kids and affluent New York lifestyle. Altman's depiction of Song’s long-dormant tradecraft shines in this high-adrenaline thriller. I’m an author of spy novels, and I love my job. Writing spy novels is both fun and challenging; I get to write about chases and gunfights; sometimes I even get to say things that I think matter. About international relations. About the lessons of history. About people … and the secrets they keep. As I write this in my study, my family is elsewhere in the house, winding down from the day and getting ready for bed. Homework is being finished, baths run, teeth brushed. Outside, on my quiet suburban block in Princeton, New Jersey, families are executing variations on this theme. We live two blocks from the elementary school, and just about a mile from the university campus. Our neighbors are ordinary people living ordinary lives – teachers and software developers, doctors and musicians, scientists and accountants. But I happen to know that one of my neighbors, a physicist, has been approached by the defense complex to apply his expertise to satellite surveillance. Another works as a mathematician for the NSA. Another, a Lieutenant Commander in the Navy, specializes in cutting-edge missile interception technology. It’s entirely possible that still others work for foreign powers – Princeton is a ripe target for academic espionage – but if so, they’ve managed to keep that secret safe from me. This intersection of domestic and exotic, of ordinary and extraordinary, of public and private, fascinates me. 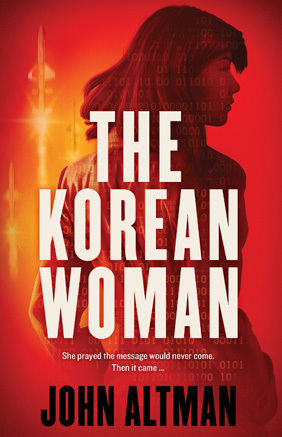 It’s been the subject of all my books, whether they take place during World War II or the Cold War or the so-called War on Terror, in America or Russia or Korea or the Middle East. Join me, and let’s explore together this place where light meets dark. Read the books; sign up for the newsletter; follow me on Facebook, Twitter and Instagram. Often, we’ll find, this place involves deception … between countries, colleagues, neighbors, spouses, lovers. Even between different parts of ourselves. Because we all tell ourselves stories to explain why we do what we do. Sign up with your email address to receive the insider’s guide to all of my novels. I’ll also let you know about special offers.